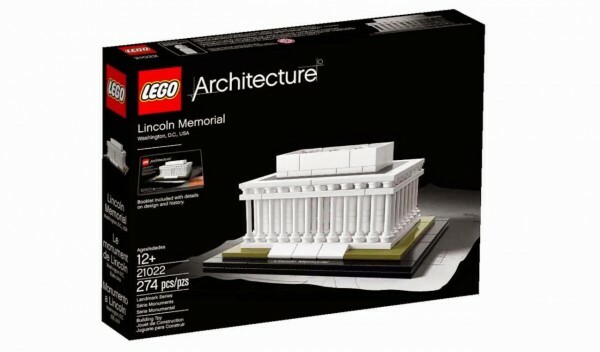 I just found the latest new set in the LEGO Architecture series in a Toys R’Us store while on vacation in West Virginia. The set isn’t officially released until January, so I jumped at a chance to get it a little early. I’ve written up a short review of the set, a preview of the part selection, and some spoilers of the build process. The set isn’t a great value at 29.99$ for 274 pieces, especially since most of these are very small parts. 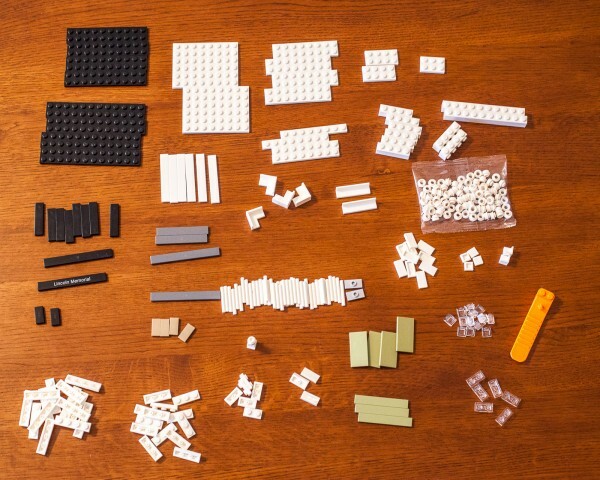 That said, this set includes a ton of great white parts to enhance your LEGO Architecture Studio collection. This includes a huge number of 1×1 round plates with a hollow stud which is a very versatile part that has been expensive in the past. 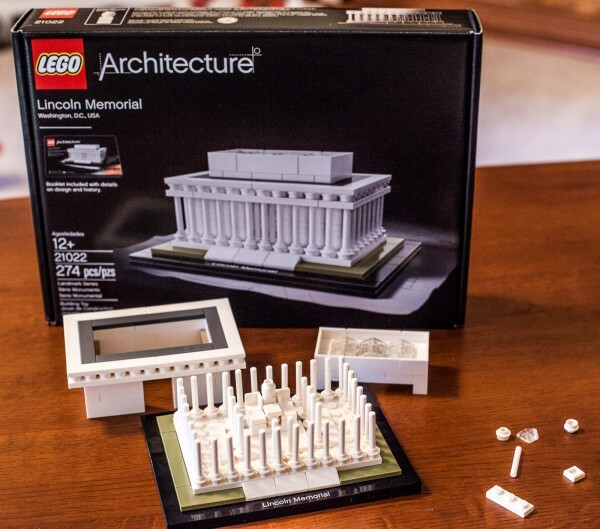 Part selection in 21022 / Lincoln Memorial. We should expect to see the price for White Bar 3L to collapse on the secondary market as 46 of them are in each set! It’s also good to see another way to collect white microfigs. I think this is about middle of the pack when compared to other small sets in the LEGO Architecture series. 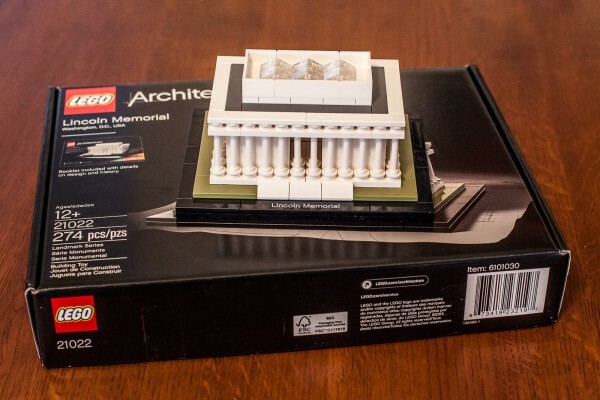 It’s definitely better than the Guggenheim, Rockefeller Center and Sydney Opera House models (which are all discontinued at this point), as well as the recent Leaning Tower of Pisa set which is 35$. Big Ben is a more interesting model and is only 24.99$. Likewise, the UN Headquarters is one of the best sets in the series and is just 20$ more. I like to build the small LEGO Architecture models without using the instructions. I’ve since learned that this is called a “Box Build” and there are competitions at LEGO conventions to see who can do this fastest. (Hint: I didn’t do all that well…) I sometimes just use the photo on the front of the box, but this time I used the photo on the back as well, since the interior of the model is decorated as well. Sorting out the parts is my first step when doing a box build. After sorting the parts, I usually try to build the base, and then move on to the details of the model which are easiest to see in the photo. In this case, I focused on the roof and the columns, since I could easily determine that the top must use the four 2×8 white plates based on the available parts. As you complete the easiest sections of the model, you have fewer parts remaining to build the sections which are partially obscured. Nearly complete, although I did make a few small mistakes. I had no problem building the base, then the lid, then the columns and finally constructing the interior. I made three very small mistakes in hidden details of the model, but the exterior was perfect. It was about average difficulty for a model of this size to build without the instructions. This model is actually one of my favorite – the small size makes it perfect to sit on your desk once it’s done. 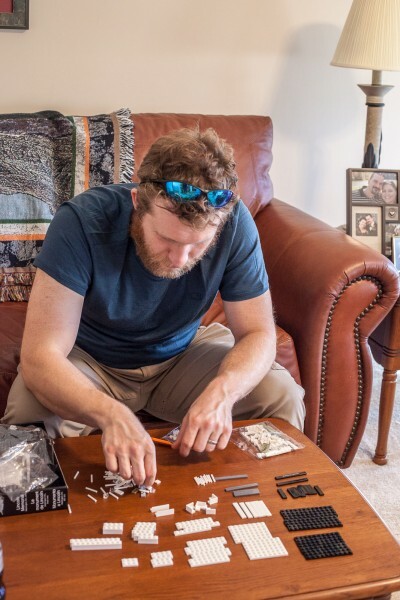 I’ve never tried to build a set without instructions, might give that a shot next time I buy a small one.